We project and realize doors, windows and frames with the accuracy and care of those who believe in quality, caring of our customer and always searching for a perfect result. 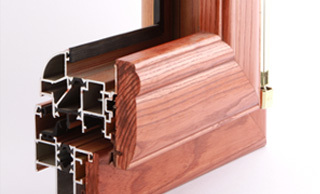 Our offer ranges from automatic entrances (we are Ditec Expert certified installers), aluminum doors, windows and shutters, wrought iron works and all about housing. We are a young and dynamic company, with a technical staff always focused in our client's needs, in technological innovation, and in making everyday life easier. Our quality standards are guaranteed by a UNI EN ISO 9001:2000 Quality Certificate. We are Ditec Expert certified installers, belonging to a net of experts focused in planning, installing and assistance about Ditec products (gates, doors, automatic main entrances). We pay attention to our clients and suggest them the best solutions for their needs. We propose the best products on the market about automation, automatic entrances, doors and windows, frames. Our years-lasting experience make us able to propose practical, economical and long time guaranteed turnkey solutions. Always concerned in care about details, we are always proud of our works, ranging from private houses works (frames, automatic gates, worught iron works, doors) to solution for big and small companies (industrial overhead doors, automations for main entrances, sliding doors, revolving doors). 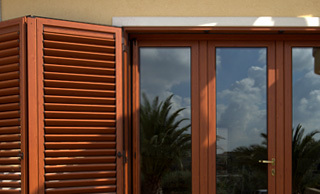 Our company was born in Putignano (Bari) in 1984 from the experience of our associates in the field of doors and windows. Over the years we specialized in wrought iron works and then in planning and installing aluminium, wooden and PVC frames and in installing automatic devices for privates and companies. All contents on this website (texts, graphics, photos) belong to the site's owner and are protected by Italian and international copyright law. You can file and print for personal use only. Every other use of the contents of this site is forbidden from third party without the prior written authorisation of the site's owner.